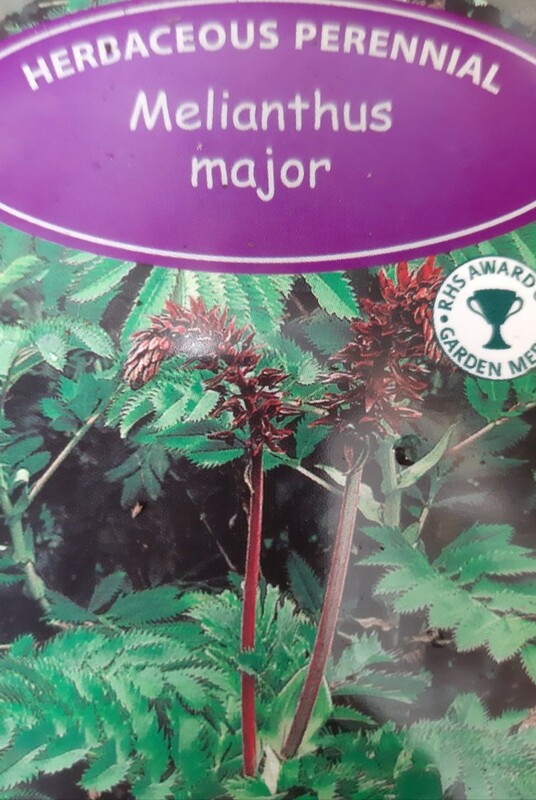 We have a great range of perennials in stock at the moment from Achillea to Verbena but we also have some plants which we sometimes have trouble sourcing or are just a bit unusual so get them whilst we have them! 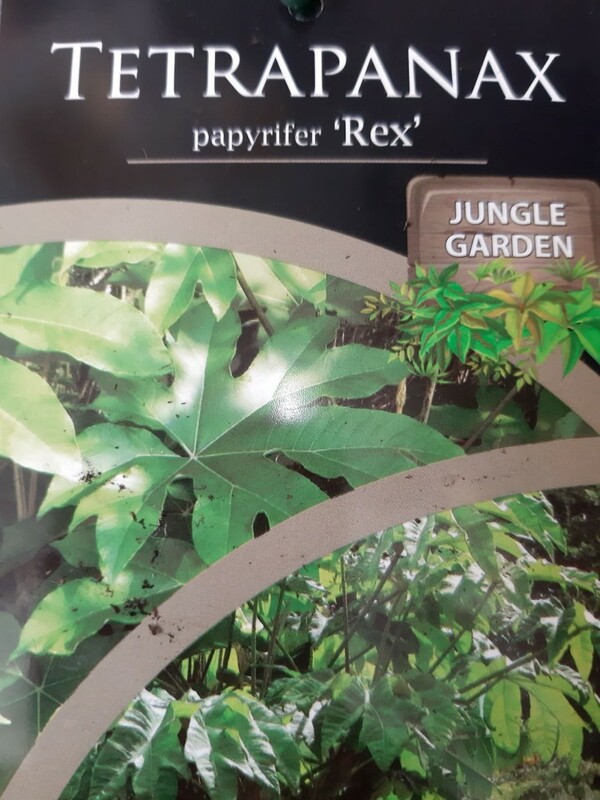 Tetrapanax are semi-evergreen shrubs, with large, palmately-lobed leaves similar to Fatsia. These shrubs have a great tropical feel and are very architecteral. Impressive leaves can reach 1m across.If kept frost-free these are evergreen; with mild frosts the plant is deciduous, and with harder frost will die to ground level then reshoot from the roots. Creamy / white pompoms of flowers are produced in large sprays in autumn, followed by black fruit. Grow in free draining soil in full sun or part shade. 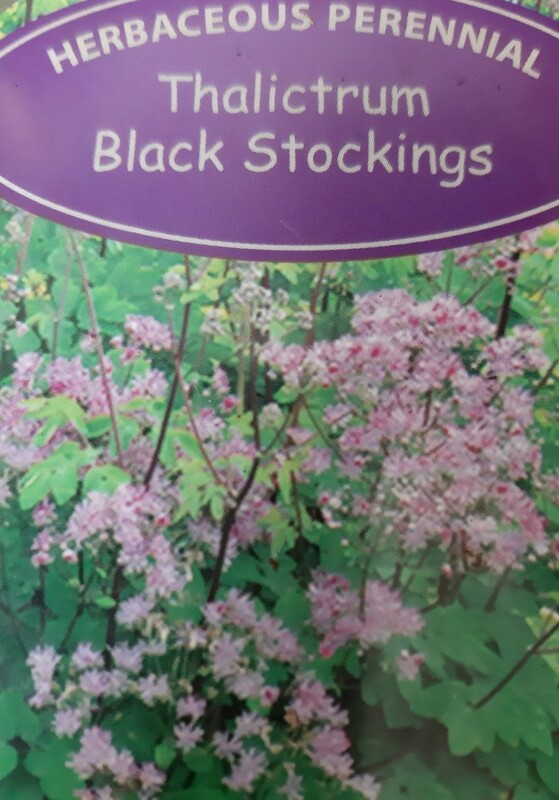 This Thalictrum is a tall, herbaceous perennial with attractive lacy foliage and upright, near-black stems to 2m bearing generous sprays of fluffy, bright purplish-pink flowers in mid- to late summer. 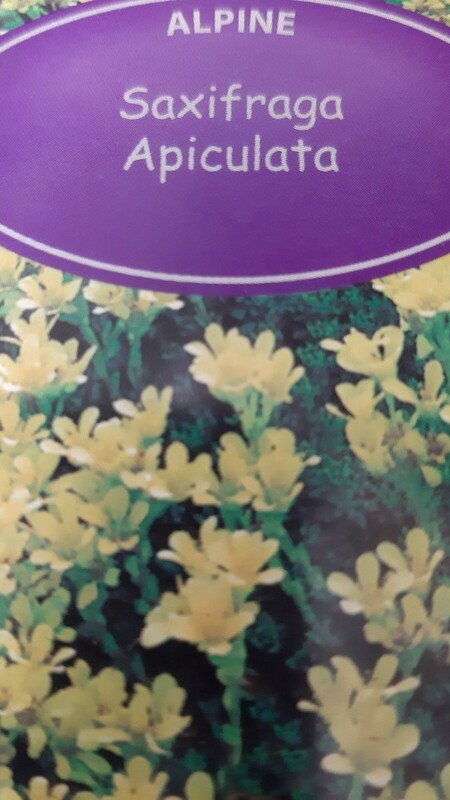 They are great for bees and butterflies. They will grow well in poorly drained soil such as we have around Crystal palace. They work well in the shade but will also take some sun. This tall and showy statement perennial is very erect with beautiful finger like foliage which reach up-wards. The deep pink flower sprays fade to pale pink with age. 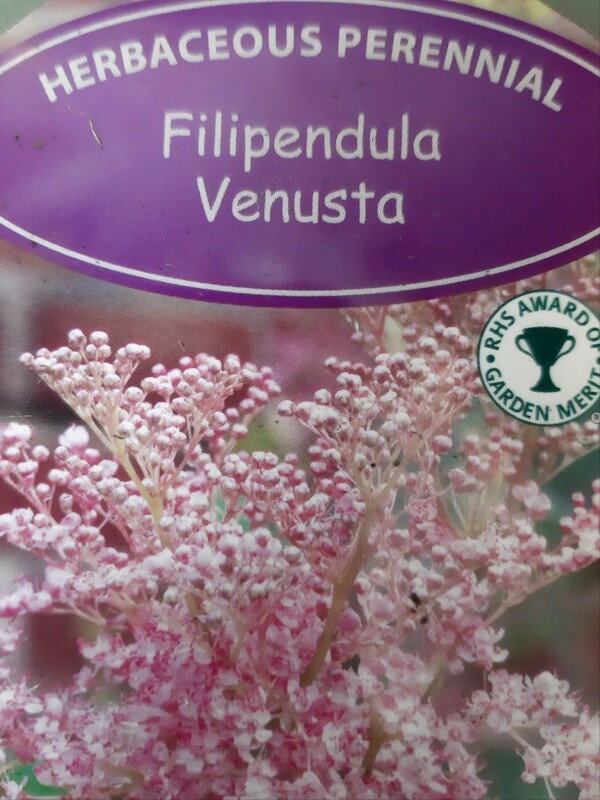 Filipendula are ideal for growing in the clay soils of Upper Norwood. They will take full sun and part shade. Great for growing in borders or in containers. Melianthus is a very attractive sub – shrub / evergreen perennial, with handsome blue / green foliage. Small, tubular maroon flowers in erect racemes to 30cm in length in spring and summer. This plant is highly desirable due to its magnificent tropical looking foliage. A little frost protection is recommended in the first few years until it gets established. Grows well in all soil types in full sun. Can also be grown in pots. 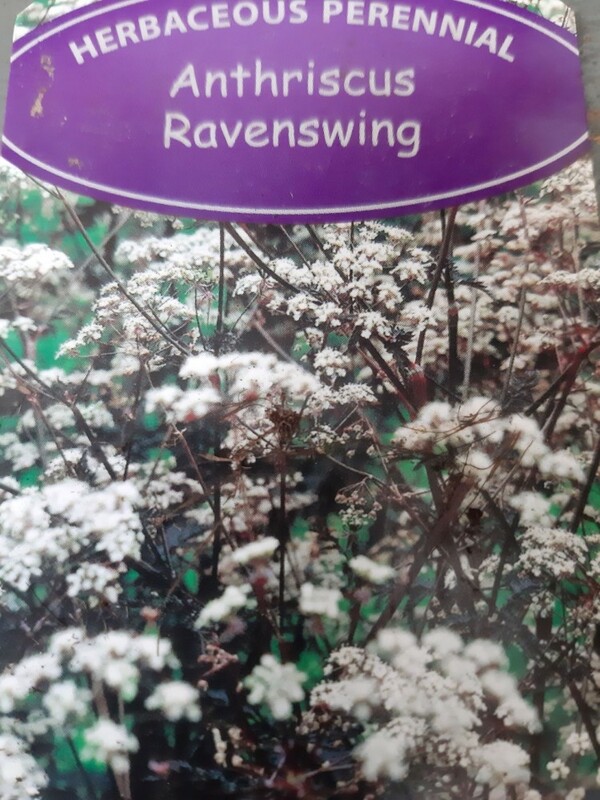 This form of cow parsley adds warmth and depth to herbaceous borders with its bronze / purple foliage. Whispy white flowers which are sometimes slightly tinged with pale pink.. Suitable for growing in a sunny or shady spot in well drained soil. Closely related to the common buttercup, this striking perennial is ideal for growing at the edge of borders, in rockeries or in containers. Brazen Hussy is a compact perennial which dies down in mid – late summer, regrows in the winter and flowers throughout spring. Glossy, heart-shaped, deep blackish-bronze leaves to 5cm long contrast with bright yellow flowers 3cm wide. Grows easily in most soils in sun or shade. This is a cushion-forming evergreen perennial with pointed bright glossy green leaves and vivid yellow flowers in early spring Small but perfectly formed, this saxifraga makes a welcomed change from the typical pink and red varieties. Trouble free and easy to grow in a sunny, well drained spot. Ideal for growing in the rockery or in containers.